Germán López. Photo credit: Nacho González. 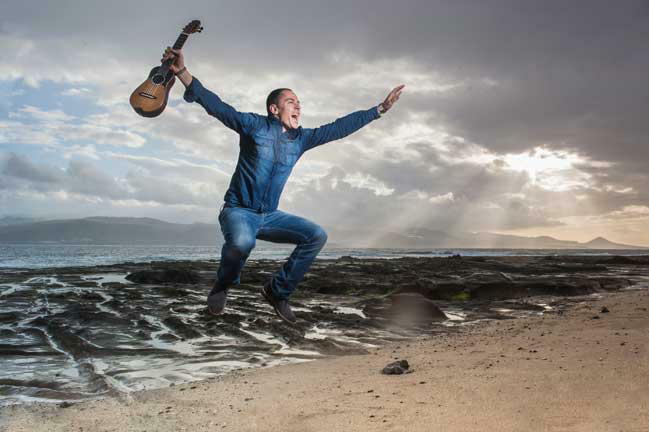 Germán López, the esteemed timple player from the Canary Islands, brings his musical virtuosity to Pepperdine University’s Raitt Recital Hall in Malibu. The masterful López blends the ancient traditions of his home island with sonic dexterity. Germán López in Concert is happening on one-night-only, Wednesday, September 28, 2016 at 8:00pm, marking his West Coast debut. López will perform in a duo program with Spanish guitarist Antonio Toledo. Tickets cost $17 for the public and $10 for full-time Pepperdine students, and are available by calling 310-506-4522 or online at http://arts.pepperdine.edu/events/german-lopez.htm. Germán López hails from Gran Canaria, an island making up an archipelago off the coast of Africa, pertaining to the nation of Spain. As a conservatory-trained musician, the gifted artist blends the ancient traditions of the Canary Islands with musical virtuosity. His instrument of choice, the timple: (pronounced tim-play), is a diminutive 5-stringed instrument intrinsic to music of the Canary Islands. Unlike the ukulele that it resembles, it has a full resonance despite its high timbre, possibly due to its rounded back. In his eagerness to experiment with new music, always starting from where the timple unfolds naturally, López recently released his album Root, which offers his approach to world music and flamenco. Captivated for years by the rhythmic and visceral richness of these genres, López moved into a new musical dimension with his timple on this album, exploring malagueñas (a Spanish dance similar to the fandango), polkas, tajarastes (native music of the Canary Islands), bulerías (a fast Flamenco rhythm), tanguillos (a kind of tango), and rumbas, including original compositions by López himself. At the age of seven he entered the Conservatory of Music of Las Palmas, acquiring an eventual master’s degree in 2001. 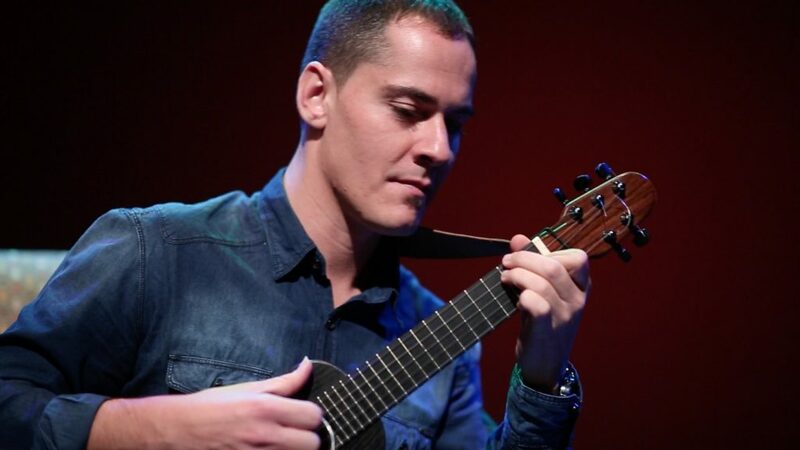 Since the age of ten, López has been performing publicly, which now includes collaborations with the symphony orchestra of Gran Canaria, festivals such as WOMAD, Circuits INJUVE, and Expozaragoza, among others. He recently starred in the opening ceremony of the annual WOMEX conference (2014) earning himself an unexpected, spontaneous standing ovation. The Lisa Smith Wengler Center for the Arts at Pepperdine University provides high-quality activities for over 50,000 people from 664 zip codes annually through performances, rehearsals, museum exhibitions, and master classes. Located on Pepperdine’s breathtaking Malibu campus overlooking the Pacific, the center serves as a hub for the arts, uniquely linking professional guest artists with Pepperdine students as well as patrons from surrounding Southern California communities. Facilities include the 450-seat Smothers Theatre, the 118-seat Raitt Recital Hall, the “black box” Helen E. Lindhurst Theatre, and the Frederick R. Weisman Museum of Art. with Antonio Toledo on Spanish guitar. 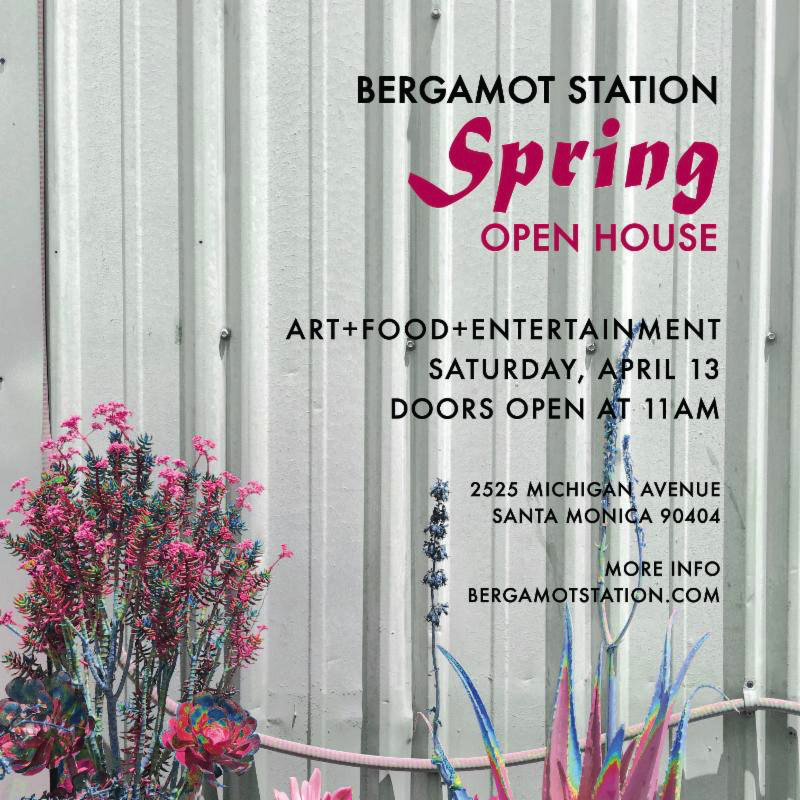 Available by calling 310-506-4522 or online at http://arts.pepperdine.edu/events/german-lopez.htm.